The 7-foot-long python was rescued yesterday. A huge python, 7-foot-long, was rescued yesterday by forest officials from a village in Gujarat. The incident took place at the Farti Kui village of Dabhoi in Vadodara, when residents spotted the snake near a busy main road. Fortunately, nobody was hurt as the python was spotted by residents inside some vegetation growing by the side of the busy road, upon which they informed the forest department who rescued the reptile. 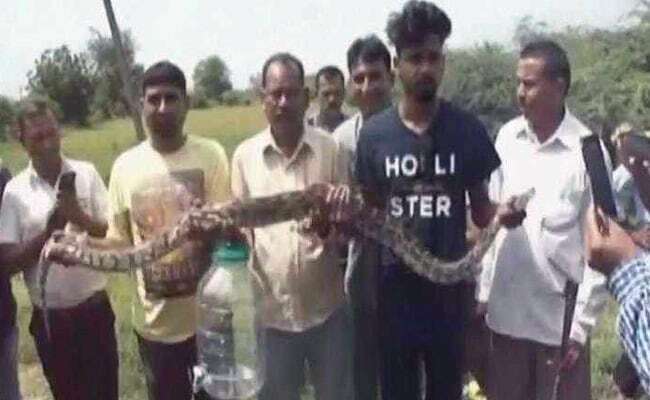 "The python was near the road, but bystanders informed us and we rescued it," a forest department official was quoted as saying. The python will now be released back into its natural habitat.